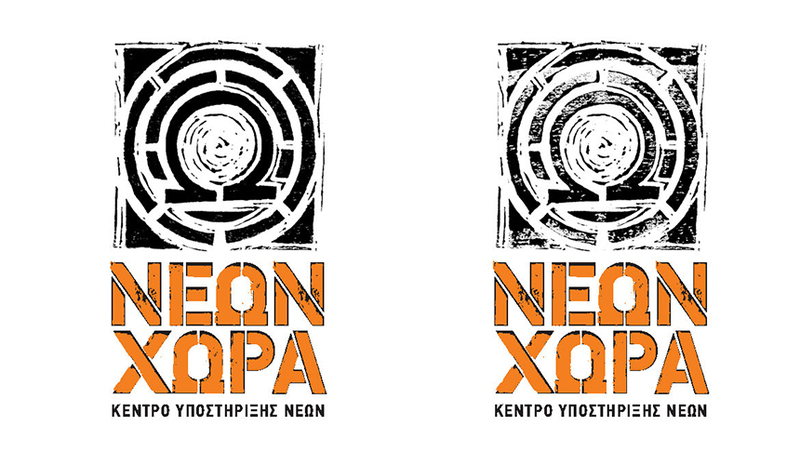 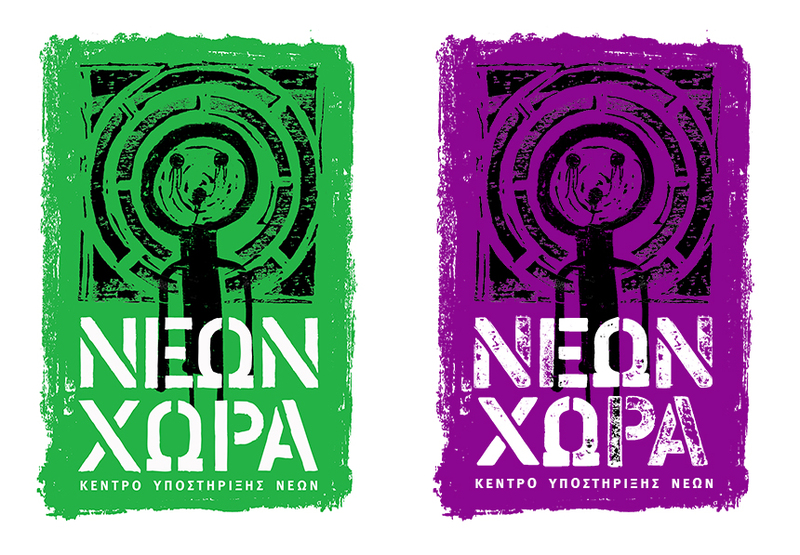 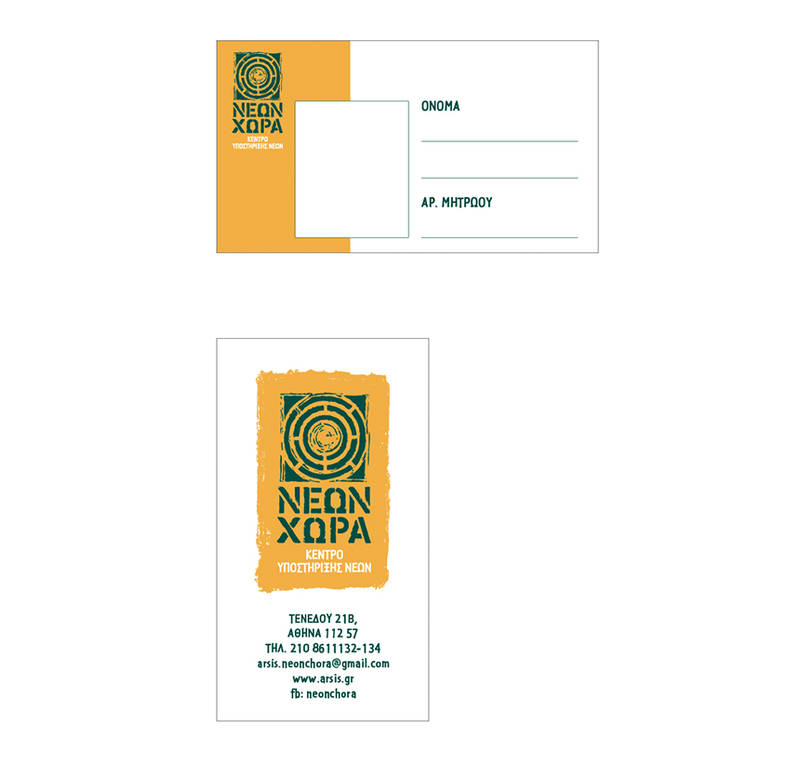 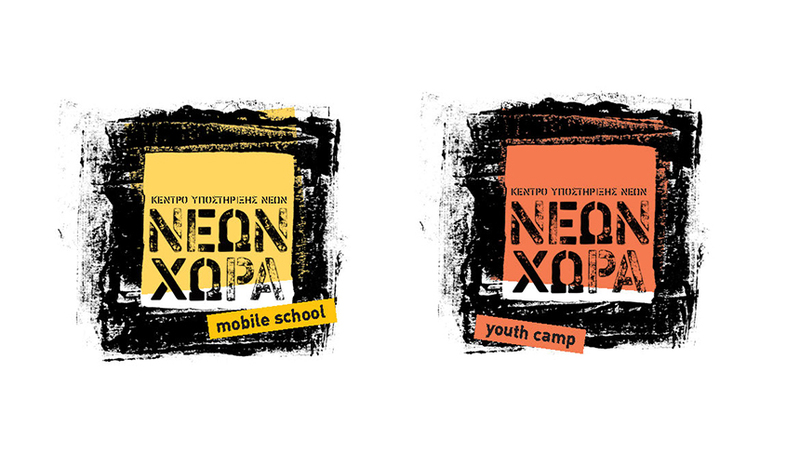 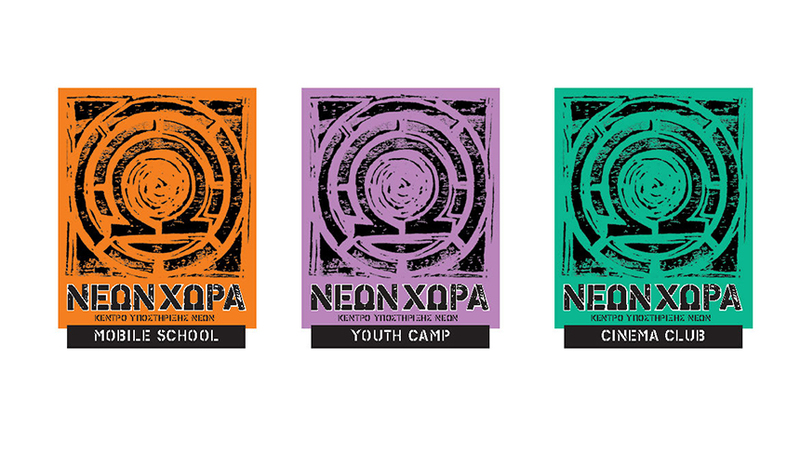 Neon Hora, the new Youth Support Centre established by ARSIS (Association for the Social Support of Youth) was in need of a strong, yet youth-friendly identity. 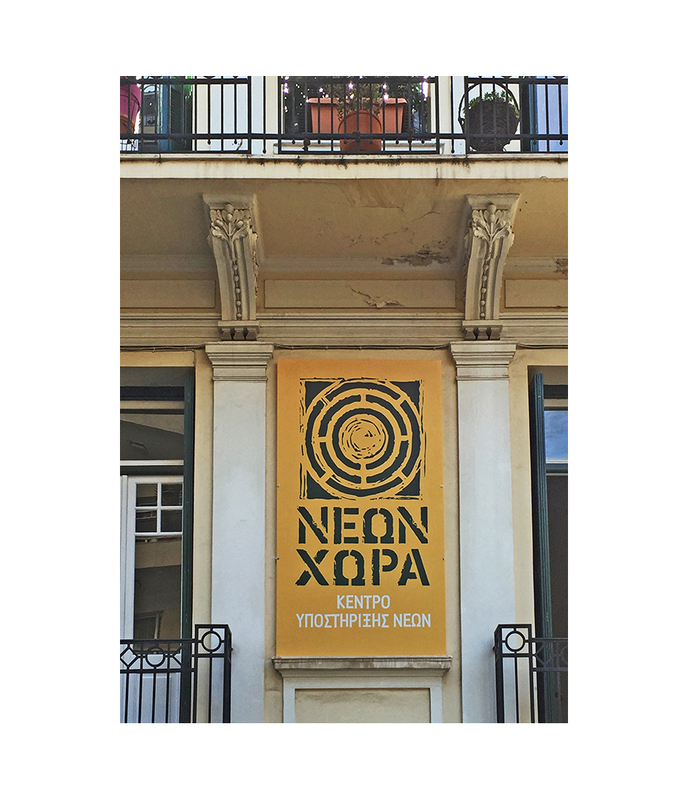 Neon Hora (which in Greek means 'The Land of the Young') is housed in a beautiful, neoclassical house in Kypseli, Athens. 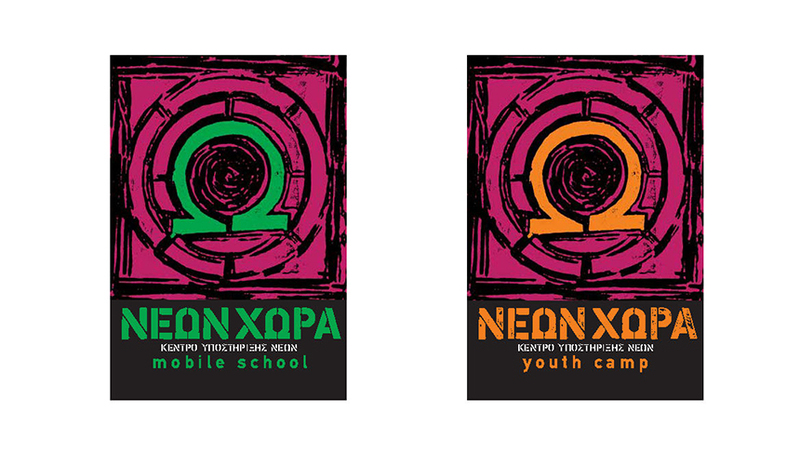 The final design solution stems from an initial linocut design based on the idea of the labyrinth. 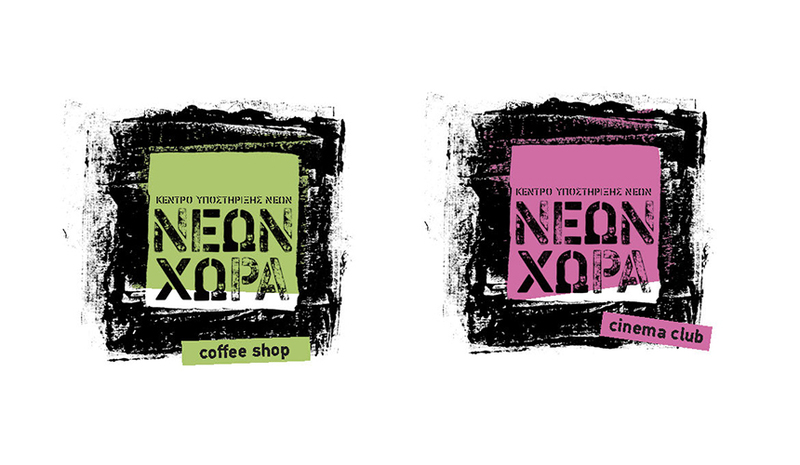 The logo is designed so that it can also be applied as a stencil, a stamp or a graffiti on any given surface.